Dr. Hillary Yin has industry experience since 1991 and is an expert in fracture mechanics based engineering critical analysis and fitness-for-service assessment of oil and gas pipeline, downhole tubulars and refinery processing equipment (pressure vessels and rotating equipment). Her expertise also includes metallurgy of materials used in both oil industry and hand tools industry, and experimental fracture and fatigue testing of steels exposed to sour services. Dr. Yin has participated in the development of several industry standards, including API 579, and NACE RP 0296. 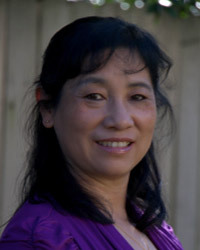 Dr. Yin has a Ph.D. in Applied Mechanics from Lehigh University, and has co-authored multiple technical papers in fitness-for-service assessments and sour testing. Prior to joining Microalloying, Dr. Yin held a staff research engineer position with Exxon-Mobil, responsible for the sour service materials testing laboratory and fitness-for-service assessment of exiting fixed and rotating equipment, and was the engineering manager and metallurgist at Stanley Proto, responsible for the material selections, product testing laboratory, failure analysis, product reliability and manufacturability. She also chairs the SAE EG-1B hand tools committee, responsible for writing industry standards on hand tools for aerospace industry.